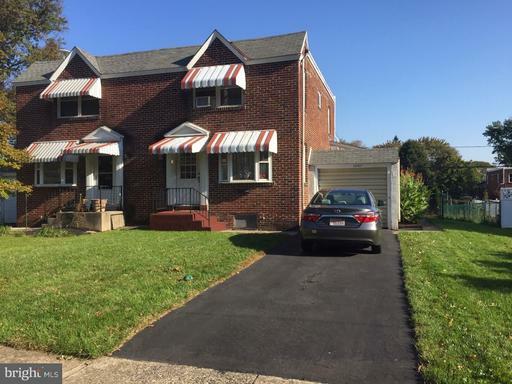 Welcome to this charming all brick twin in Lansdale Boro. First time offered for sale in over 50 years! Walk into this large living room and you will feel right at home with a bay window and original hardwood floors on first and second floors. A powder room has been added on this main floor making this a 1 1/2 bath home. Full basement is one of the cleanest basements you will see! The second floor features a Master Bedroom with large closet 2 additional bedrooms and a full bath. The original kitchen can easily be updated and home needs a coat of paint, otherwise it is a gem! Exit the door in the kitchen onto a patio leading to a large rear yard which is completely fenced. Attached one car garage completes this great home. An easy walk to the train station and local restaurants.